Today I have another extremely summery stamping plate from Beauty Big Bang to show you, with a variety of beach and vacation themed designs. This plate is BBBXL-002, and it's definitely going to be one I used a lot this summer. I am mostly obsessed with the anchor/captains wheel design, as well as the fish/mermaid print (how did I not already own a fish print stamping plate until now!?). This plate has 7 full nail sized designs as well as 17 smaller designs. I personally gravitate to full nail designs most of the time, but do enjoy using the smaller ones for accent nails. I really impressed with the quality of this plate (and the other plate I reviewed by Beauty Big Bang), and for only £2.69 per XL plate they are a bargain. 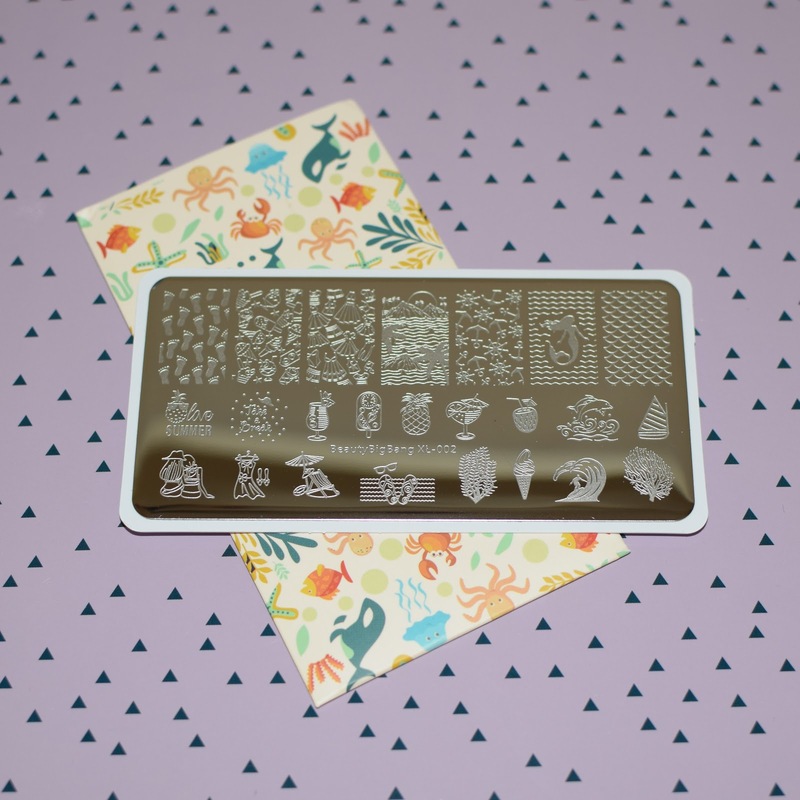 If you are going on vacation this summer and looking for a fun stamping plate to accompany you, then look no further.